I still can’t decide to what (if any) extent I’m a fan of Rajesh Roshan. His music tends to vary from mildly pleasant to pretty good; never really bad but seldom truly spectacular. 'Aap Ki Deewane' is no exception. My personal favourites (currently) are 'Mere Dil Men Jo Hota Hai' and 'Tum Ko Khush Dekh Kar'. String laden and stirring, they have the strongest melodies here; the latter in particular has the distinct European feel also heard on Roshan’s breakthrough score 'Julie'. I was looking for this OST. Another one which I am really forward to is "Priyatama". Thanks for all your hard work. Superb share.. 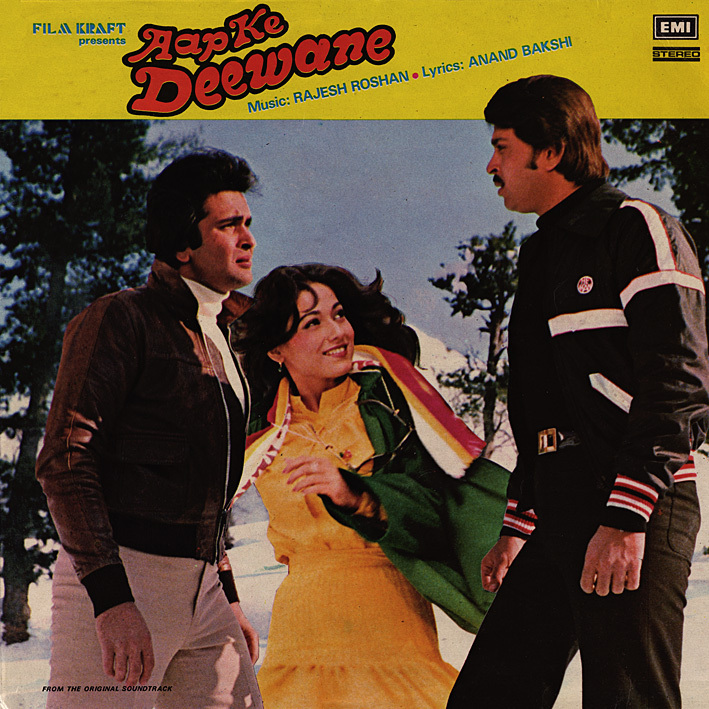 The song Hum To Aap Ke Deewane Hain is interesting coz all through the song... there are no other words except Hum To Aap Ke Deewane Hain. Hadn't noticed that to be honest. What do the words mean? If you like this one... you cannot afford to miss Manpasand. Excellent soundtrack and great Stereo.